Dimensions 0.90 by 5.60 by 8.50 in. The State of Indiana denies one million applications for healthcare, foodstamps and cash benefits in three yearsâbecause a new computer system interprets any mistake as âfailure to cooperate.â In Los Angeles, an algorithm calculates the comparative vulnerability of tens of thousands of homeless people in order to prioritize them for an inadequate pool of housing resources. In Pittsburgh, a child welfare agency uses a statistical model to try to predict which children might be future victims of abuse or neglect. Since the dawn of the digital age, decision-making in finance, employment, politics, health and human services has undergone revolutionary change. Today, automated systemsârather than humansâcontrol which neighborhoods get policed, which families attain needed resources, and who is investigated for fraud. 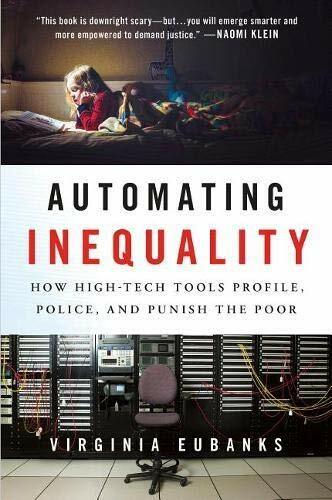 While we all live under this new regime of data, the most invasive and punitive systems are aimed at the poor.